Hanoi (VNA) - A series of books about autism has been launched in Hanoi by the Women’s Publishing House in response to the World Autism Awareness Day April 2. The books, compiled by professor Nguyen Thanh Liem and his colleagues from the Nhip cau yeu thuong (Bridge of Love) charity team, supply basic knowledge for parents to detect autism early. 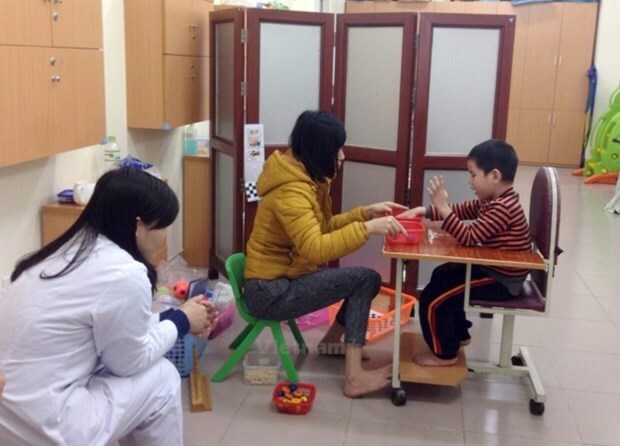 At present, there are few documents with guidance on treating autistic children in Vietnam. Thus professor Liem, Director of the Vinmec Research Institute of Stem Cell and Gene Technology and former director of the National Paediatrics Hospital, decided to publish the books. The authors and translators’ royalties will be used to buy books for centres taking care of autistic children and poor families with autistic children across the country.